- Since Established in 2002, Shankara Overseas India ( Shankara ) is an Indian wholesaler and exporter of premier high quality Diapers. 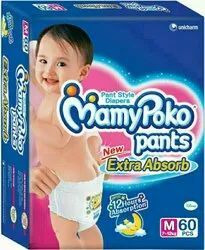 We have grown from strength to strength to become a leading supplier of Mamy Poko Pants Diapers. We are the biggest retailers across the globe.